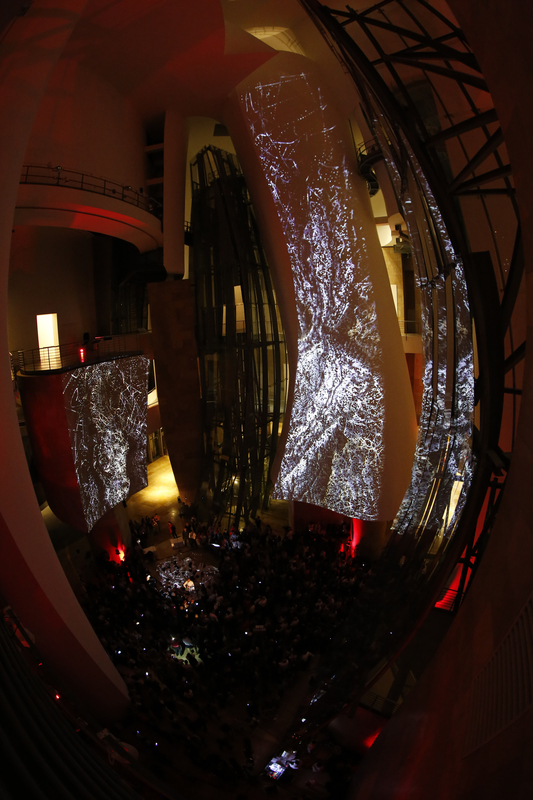 Guggenheim Museum Bilbao, in collaboration with the European Space Agency (ESA), commissioned to The DK <projection> in October 2017 Chasmata, a production to commemorate the 20th Anniversary of the Museum. 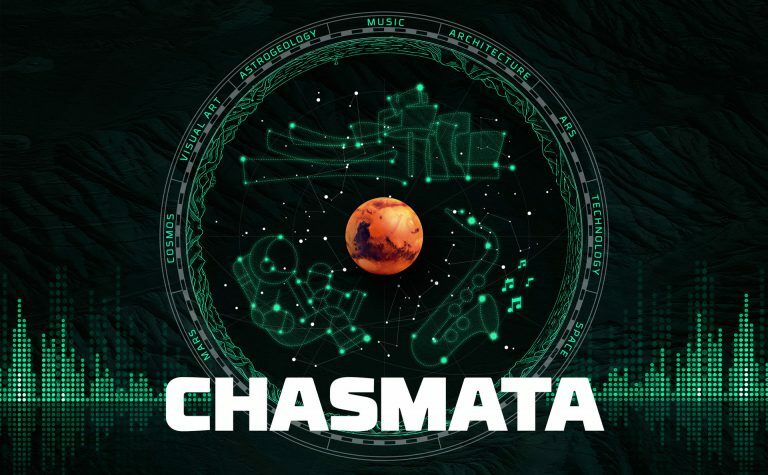 Chasmata is a singular project, which was realized during the closing acts of this Anniversary, which tried to merge arts and science into a total, artistic experience of 21st century. In this production, completely devoted to the saxophone world, is brought together as a whole Frank Gehry’s architecture, astrogeology, Richard Serra’s The Matter of Time scultptures, electronic music and video creation. 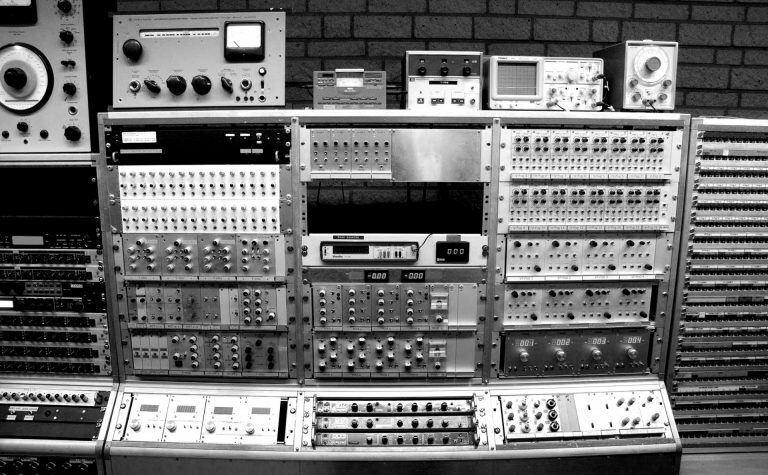 Scientific data from studies coming from planet Mars and unprocedented images from Mars surface were used for the composition of the six pieces that integrate the whole concert. During the night, we received a very special happy birthday message by the astronaut Paolo Nespoli from the International Space Station.